Sign up for Summer with Intervale Food Hub! Intervale Food Hub offers local food packages, delivered weekly, with tasty recipes and helpful cooking tips. 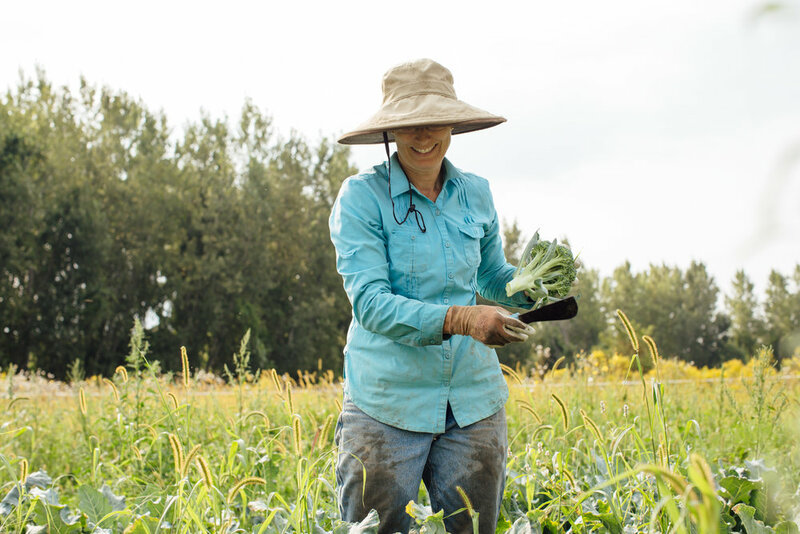 They prioritize certified organic and sustainable growing practices so that you can feel great knowing your food is good for you, good for Vermont, and good for the earth. Sign up for the Summer Season by May 25th! The Intervale Food Hub team has some exciting new features to share for the upcoming Summer Season! Intervale Food Hub now offers free home delivery to all of Burlington, which means that your food can be delivered right to your door! Deliveries are made on Tuesday, Wednesday, or Thursday afternoons; depending on what neighborhood you live in. You can pick up your food each week here at the Intervale Center, opt for free home delivery if you live in Burlington, or pick up at one of our community locations in Burlington, Colchester, Essex, South Burlington, Williston, or Winooski. Visit their website to learn more about delivery options! The Vermont Vegetable package includes a showcase of fresh, seasonal produce, including berries, fruit, herbs, mushrooms, greens, and a great variety of vegetables. Now, you can choose one of three sizes, so that it’s just the right amount of food for your household. The smallest "starter size" is geared towards those who are cooking for one. The “variety” size is great for couples or households of 2-3 people. The largest "value" size is a great option for families or multiple roommates. You can also add on eggs, bread, cheese, meat, tortillas & beans, and bean burgers, or a add variety of local ingredients with the Omnivore Package or Localvore Package. Intervale Food Hub team is excited to bring members even more recipes and cooking tips than before, thanks to a new and improved cooking education program with Suzanne Podhaizer. The cooking education program is part of every membership, and will help you build your kitchen confidence, with recipes, technique videos, weekly meal plans, and more. Summer Season deliveries will begin the first week in June, and continue through the month of October (ask about flexible options for vacations, too). Intervale Food Hub offers flexible payment options, including monthly installments and payment by EBT/3Squares.